May 5th 2017. The venue is Kingsey Road in Oxfordshire on an afternoon which is bathed in sunshine and full of excitement, expectation and nerves. It is a ground which has witnessed a lot, not least in the last three years. 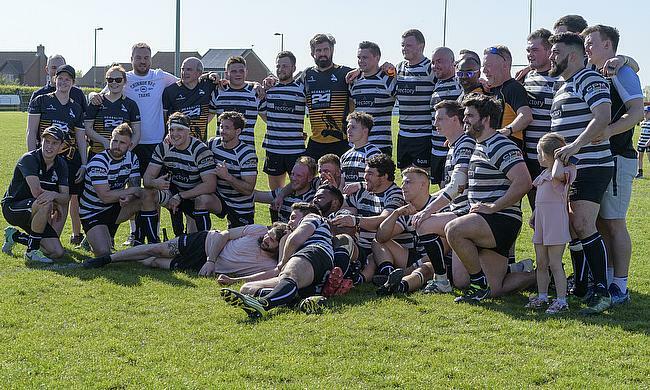 Under the guidance of Director of Rugby Matt Williams, Chinnor Rugby Club have always had high ambitions and last month, they wrote a new chapter in the their history. After surviving relegation in the 2015-16 season, Chinnor went from scrapping for their lives in National Two South to promotion candidates in the space of 12 months. The Black and Whites were rejuvenated and at the beginning of 2017, Chinnor were on course for a top two finish. However, it just wasn’t to be. A blip in form saw them narrowly miss out on a promotion place to eventual play-off winners Old Elthamians, but Chinnor weren’t going to sit in a dark room and dwell on what might have been. Instead, they used their disappointment to spur them on. Williams added more quality to his squad, including lock Tom Ranaboldo, and he may only have joined the side at the start of the 2017-18 campaign, but the second-row is now part of a Chinnor team that has reached the highest level the club as ever achieved. Ranaboldo was down south for university purposes and with Chinnor being a club nearby, he decided to join the Oxfordshire outfit because “the ambition of the club” appealed to him. That ambition which the forward eludes to was realised last season. Following a flying start to the campaign, Chinnor were on top of the pile heading into the New Year after 16 matches unbeaten, but just like the previous term, a sticky spell of form in January threatened to derail their promotion bid. A loss to struggling London Irish Wild Geese and title rivals Cinderford made their top two aims uncertain, but Chinnor kept their cool to win eight straight games and convince any doubters they could claim a shot at National One and place in the National Two Play-Off against Sedgley Park. 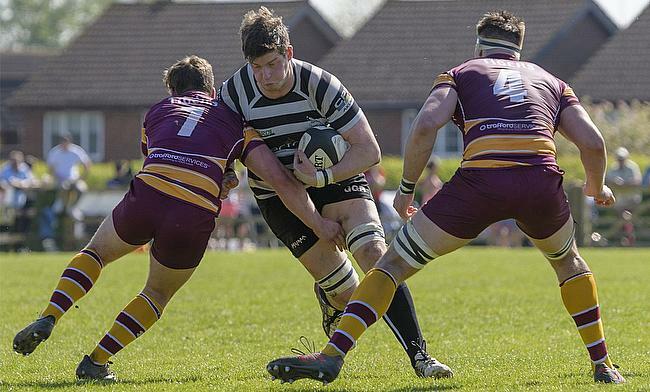 New heights had already been hit by Ranaboldo and co, but it got even better for Chinnor as a 40-31 win against Sedgley Park at the beginning of May sealed their place in the third tier of English rugby. “It was a really brilliant season and it was great to be a part of it,” Ranaboldo told ncarugby.com. Ranaboldo admits after spells with Broughton Park and Salisbury that playing for Chinnor was a step-up and his decision to represent the side was motivated by his own personal aims in rugby. He added: “Last year, was the highest level I have played so this season in National One will be a higher level than that! “While I am still a bit younger, I wanted to see if I could perform at a better level so it was very much the ambition of the club that appealed to me. There is no doubt that last season was a success for the Chinnor and this week, Williams signed a contract extension at the club until 2020 after fulfilling his three-year mantra set by the board – something Ranaboldo is pleased about as the side start their preparations for life in National One. The club are now gearing up for the beginning of September when they make their National One bow away at Plymouth Albion and as Bishop’s Stortford, Old Elthamians and Caldy showed last season, newly promoted sides are more than capable of holding their own at this level. Ranaboldo echoes that viewpoint and he is now looking forward to another new episode in Chinnor’s story. “It is definitely our ambition to do well and compete,” he added. “We are not going to be a team that people can walk all over. “It as new step into the unknown for the club, but it will definitely be interesting to see how we can go and it is exciting to be a part of. “The club aims are to finish in the top half of the table if not higher. We just want to go out and compete and show we are there to play some rugby.